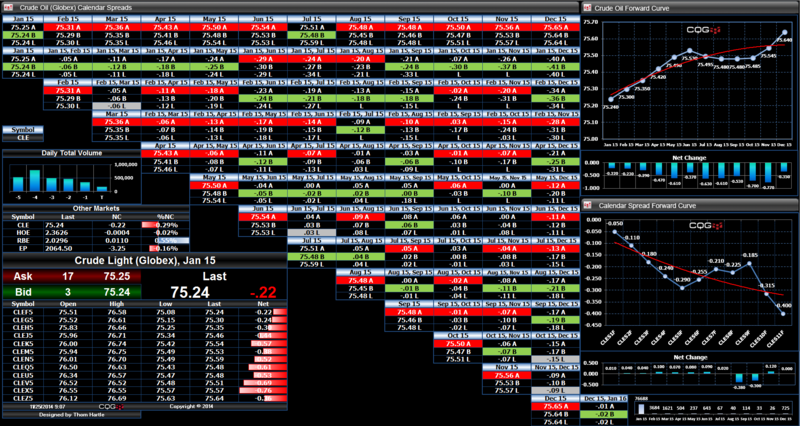 This Microsoft Excel® spreadsheet uses the CQG Toolkit to pull in market data for crude oil traded on CME Globex. This Microsoft Excel® spreadsheet uses the CQG Toolkit to pull in Brent Crude Oil and WTI Light Sweet Crude Oil market data traded on the ICE exchange. 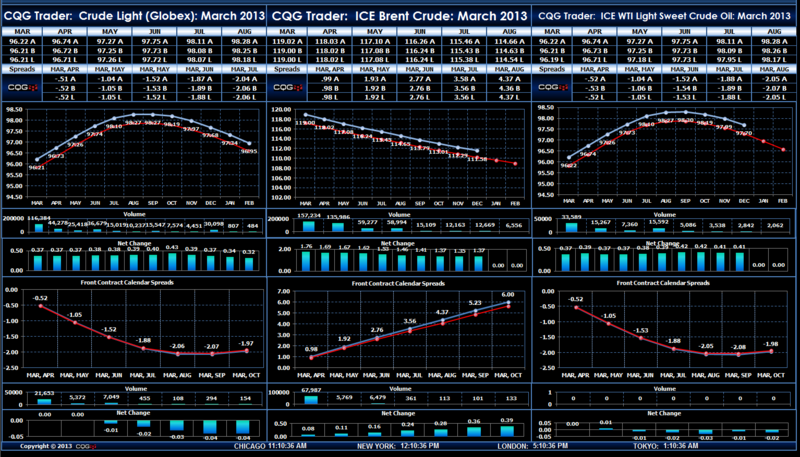 This Microsoft Excel® spreadsheet uses the CQG Toolkit to pull in Brent Crude Oil market data traded on the ICE exchange.